William Cousins is an independent security consultant with over 30 years of progressive experience in federal law enforcement and private industry security. Bill is a twenty-two year veteran of the United States Secret Service, completing his career as an Assistant Special Agent in Charge of the Detroit Field Office. Throughout his career, Bill experienced a number of assignments which afforded him the opportunity to establish expertise in security, protection, investigations and training. While in the Secret Service, he conducted countless security advances and established security measures for five Presidents and Vice-Presidents, visiting Heads of State, as well as Presidential and Vice-Presidential candidates. Bill’s assignments included the Vice-Presidential Protective Division, Training Division, Secret Service Headquarters and the Detroit Field Office. In 2004, while in the Detroit Field Office he supervised the movement of approximately $4 billion in U.S. currency when the Detroit Branch of the Federal Reserve relocated to its new facility. Additionally, Bill was assigned as the Secret Service security advisor for both the 2005 Major League Baseball All-Star Game and the 2006 National Football League Super Bowl Game. In his capacity as Director of Global Security for two major manufacturing companies, Bill led a team of security personnel which was responsible for conducting vulnerability, risk, security and threat assessments. Bill was also responsible for executive protection, investigations, physical security as well as security for corporate ex-pats and families internationally. He has been credited with developing and enhancing corporate global intelligence and command centers, establishing kidnapping and ransom policies and procedures, workplace violence programs, travel security as well as establishing intellectual property awareness and anti-theft programs. 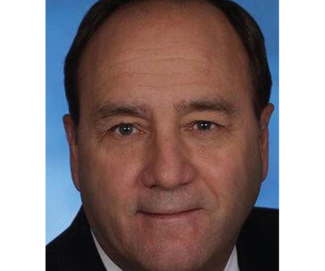 As founder and CEO of WJ Cousins & Associates, Bill has rapidly become an industry leader in the area of security consulting and advisory services. He has served as an advisor in security matters for the state of Michigan’s Bureau of Medical Marihuana Regulations of the Licensing and Regulatory Affairs division. He is considered a leading authority in “Seed to Sale Security” for medical marihuana facilities, having written a vast number of security plans. Bill earned a B.S. degree in Criminal Justice from Madonna University and M.S. in Leadership from the Johns Hopkins University-Police Executive Leadership Program. He has been awarded the Certified Protection Professional designation through the American Society for Industrial Security. Bill is a Commissioner on the Detroit Crime Commission. He is active member in the American Society for Industrial Security, Association of Former United States Secret Service, Oakland County Sheriff’s Advisory Council, Intellent and the Michigan Council of Professional Investigators.